Three gun (3-gun) competitions are one of the most currently popular shooting sports. This particular sport requires the use of a handgun, shotgun, and a semi-automatic rifle. Of all major shooting sports, this one offers the best opportunity to work on skills that can easily translate into other shooting applications. The familiarity that the practice and competition provides the shooter with his/her weapon and its function will also benefit other applications. There are various divisions with different restrictions on the types of weapons and accessories allowed for use, and more detailed information on the basics of 3-Gun competition can be found at this link. DTI manufactures and sells AR-15 rifles and accessories, so we will use this blog post to highlight items in our product line that can provide a competitor with an outstanding weapon, specifically configured for this sport. If you don't have a rifle to use in this sport, or don't want to alter your current AR-15 rifle, the DTI Evolution rifle model would be a perfect choice. It is the top of the line rifle in our product line, and though it has just about everything a competitor would need in a 3-Gun specific rifle, it has an amazingly attractive pricepoint. The 16" CMV, mid-length, lightweight, chrome lined barrel has accomplished sub-moa groups in a few different magazine reviews, and the Magpul CTR stock and Magpul MOE+ Grip allow for comfortable and confident handling. Also standard on this model is the DTI two-stage trigger, Sampson Evolution free-float handguard, and Sampson iron sights...this rifle will have you ready for competition right away. 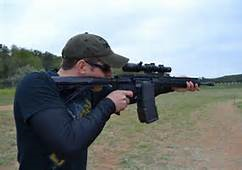 If you have an AR-15 that you would rather modify for 3-Gun use, any needed parts can be found at www.del-ton.com. We offer a variety of lightweight, free float handguards such as the Yankee Hill Machine SLR, PRI Carbon Fiber Free-Float Tube, and Troy Alpha Rail that would be ideal choices for the speed and accuracy this sport requires. Optics and flip-up sight sets from major manufacturers like EoTech, TROY Industries, and Yankee Hill Machine are available to help the shooter acquire targets fast. A quality trigger like the JP Enterprises AR-15 Adjustable trigger can provide smooth, confident, repeatable trigger manipulation. 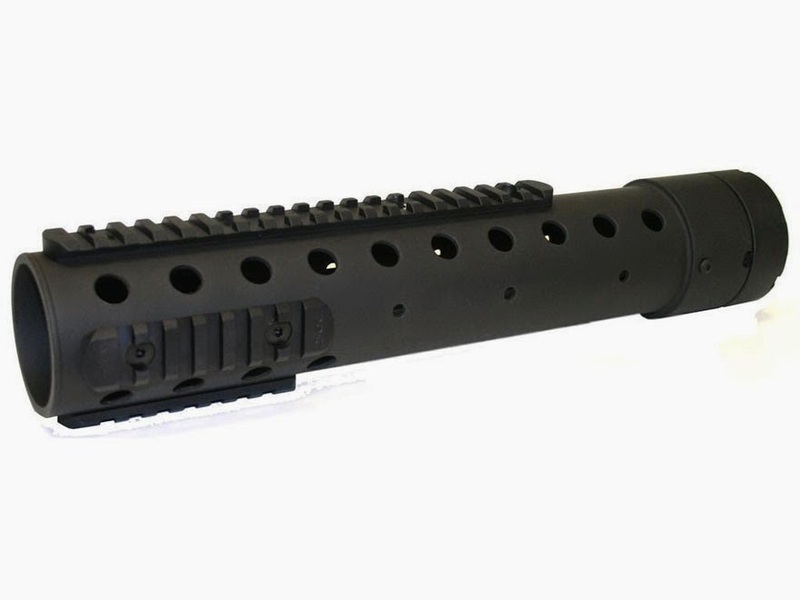 Compensators and muzzle brakes will help you fight muzzle rise and stay on target or quickly acquire the next one. Finally, reliable magazines are essential, and the Magpul PMAG is the industry standard for reliability. The PMAG with windows can let the shooter know at a glance when the time is nearing for a reload. DTI is committed to being the source for AR-15 products where quality and value meet. We are also committed to the shooting sports and have sponsored individuals as well as 3-Gun matches. Thanks for reading our blog. If you have any questions about the AR-15 rifles we produce, the parts we sell, or need any assistance in building or setting up a 3-Gun rifle, please feel free to contact us.